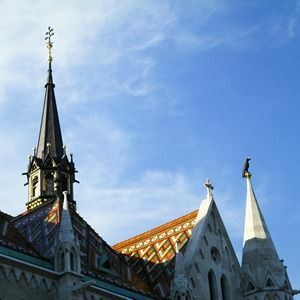 HELPERS is the leading provider of business and immigration services in Hungary. Are your parents, grandparents, or other ancestors from Hungary? Do you want to become a citizen of an EU member state with great infrastructure and a thousand years old culture located in the heart of Europe? Read on to learn why you should and how you can become a Hungarian citizen. Why to become a Hungarian citizen? Hungary is located in central Europe, and is a member both of the European Union and the Schengen zone. Hungarian citizens can travel without a visa (with just their ID card) in the Schengen countries, while the Hungarian passport allows you to enter 168 countries visa-free. Hungarian citizens can also access the Hungarian free healthcare and education system. Moreover, Hungary offers favorable business conditions for anyone who wants to open a company and start trading in Europe. How to become a Hungarian citizen? 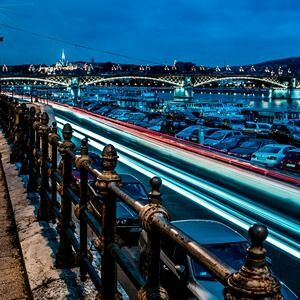 The easiest procedure is available to those who have Hungarian parents or grandparents – or can trace their heritage to Hungary through an ancestor. Whether your family left Hungary in the 1980s or in the 19th century, you are eligible for Hungarian citizenship. You are only required to provide proof of your ancestry, and pass a basic language test. The process is called simplified naturalization, and it takes only a few months – as opposed to the regular process, where you have to be a resident of Hungary for 8 years before you can apply for citizenship. Accordingly, Helpers provides assistance in each major step. Eligibility check and consultation: tell us about your family so we can check whether you are eligible for Hungarian citizenship, and help you plan how to proceed to get it. You will certainly need a no-criminal record and a proof of your ancestry – and maybe some other documents. Researching and acquiring proof of Hungarian heritage: depending on when your family left Hungary, it might be simple or more difficult to prove that they lived here. Whether you need a visit to the Archives or the help of an expert genealogist, we are here to make sure everything goes smoothly. Language testing and preparation: everyone applying for Hungarian citizenship needs to prove that they speak at least some Hungarian. In the regular procedure, this means you have to take a basic exam about Hungarian history and culture – in Hungarian. In the simplified procedure available to those with Hungarian ancestors, you only have to speak a few words in Hungarian with the administrator when you hand in your application. If your file is properly prepared, your application will be processed smoothly by the authorities, and you will become a citizen within just a few months (although the process may take up to a year depending on other factors). As a result, if you have Hungarian ancestors, simplified naturalization is your shortest way to Hungarian, thus European citizenship. Is there a Hungarian Investment Citizenship Program for those without Hungarian ancestors? Currently you cannot get Hungarian citizenship through investment. If you are looking for Hungarian citizenship, you have to go through the naturalization process, which requires 1-8 years, depending on your circumstances. 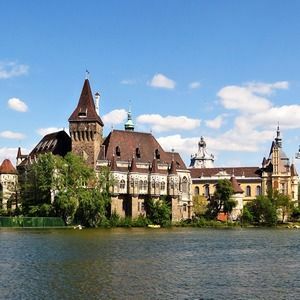 However, you can get Hungarian residency through investment, which gives you much the same privileges as citizenship, while the process is a lot shorter, taking only a few months. As a holder of a Hungarian residence permit, you can travel visa-free in the Schengen zone, and access Hungarian infrastructure. Your shortest way to Hungarian residency is the Real Estate Residency Program, in which you buy property worth at least EUR 200,000, and set up a company for property management. You can learn more about Real Estate Residency here. Get in touch today and ask for a free initial consultation! and see for yourself if you are eligible for Hungarian citizenship. Since the vote on Brexit, many British citizens are looking for a second, EU citizenship in order to keep their privileges as citizens of the European Union, including the right to live, travel, and do business in the EU. While Germany is by far the most popular destination, Hungary is most popular in Central Europe. If you want to live in Hungary, you do not necessarily need to become a citizen: you can get residency as well, based on various activities.